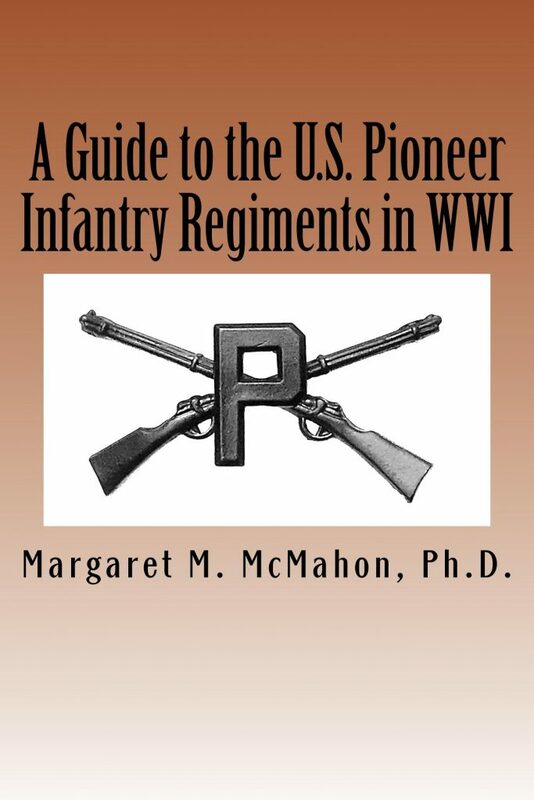 This page is intended to provide resources to the those descendants and researchers of the 51st Pioneer Infantry Regiment. Contact us to find out about group discounts. 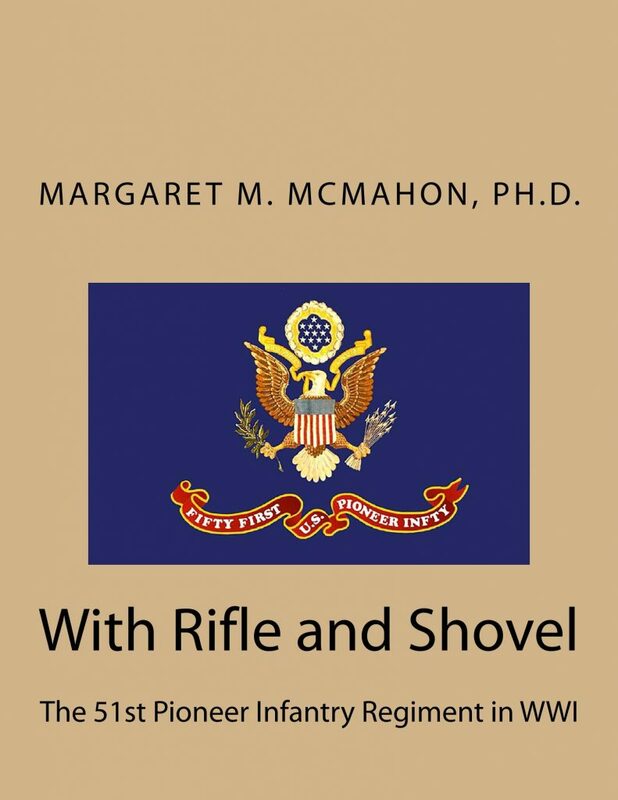 Some of these posts are directly related to the 51st Pioneer Infantry Regiment, while others are for more general WWI research. You can visit our blog at http://aweekofgenealogy.com/blog, and search for “51st” or “WWI”. The webpage for Gordon Van Kleeck of Company F and his war-time diary. Martin, Clarence S, and Louis H Clark, “From Three Quarters of a Century with the Tenth Infantry New York National Guard 1860-1935”, 1936. Thisted, Moses N. “Pershing’s Pioneers”, 1980. 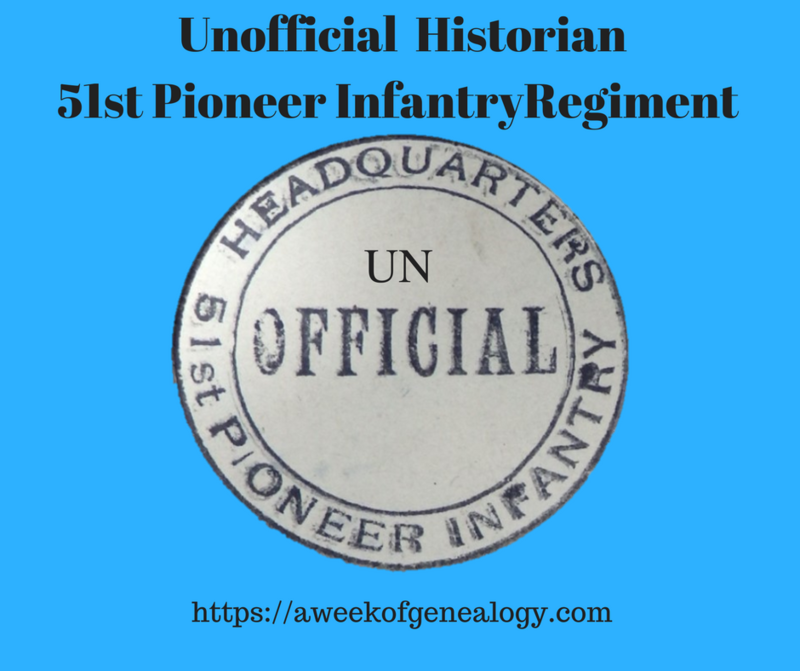 Ancestry.com Message Board for the 51st Pioneer Infantry Regiment. Online World War I Indexes and Records – USA This is a great resource, but is not comprehensive. U.S. Army Heritage and Education Center’s World War I Holdings This links to a 937-page PDF document containing a finding aid for source materials “The War to End All Wars”. The U.S. Army Center of Military History (CMH) World War I Era Narrative History, Historical Resources. Lesson Plans, Commemorative Pamphlets, Commemorative Events, Historical Timeline and more. WWI Fact Sheet from the U.S. Army Center of Military History. 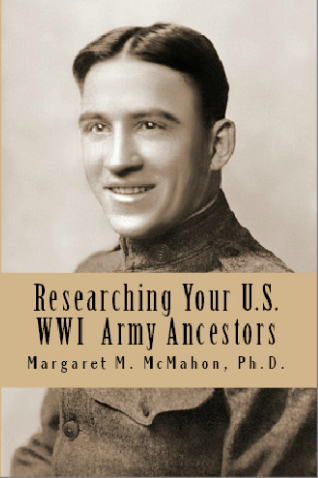 This page is brought to you by “Researching Your U.S. WWI Army Ancestors”. Learn more about the book here.